Even as fashion style keeps on changing, a skirt remains timeless and feminine. Skirts are very flexible such that you can pair with heels, boots, sneakers or even sandals and you will still look attractive. From pencil, maxi to structured minis, there are a lot of skirt choices that you can choose to ensure this garment looks amazing on you. With all these designs to choose from, there are skirt designs that will flatter your body. Women can wear long skirt designs to church, wedding and even to the beach. They are practical, very comfortable to frequently moving around in and are a timeless fashion staple. They look fabulous on tall women and short girls can use this skirt type to heighten their silhouette. Pair with ankle boots, peeps, sandals or heeled gladiators. A pencil skirt is usually tight from the hips to the bottom. They look good with women who are in shape because they can quickly expose a bulging waist or a boyish frame. They pair well with crop tops or high necks. Wear with wedges or high heels which make the legs appear longer and flatter the hipline. Mini skirt designs feature a hemline which is always above the knees. While they get their inspiration from the 60s look, they are nowadays popular with the youths especially the micro miniskirts. They look good with fitted tops and are ideal for women with apple shaped and boyish body frames. 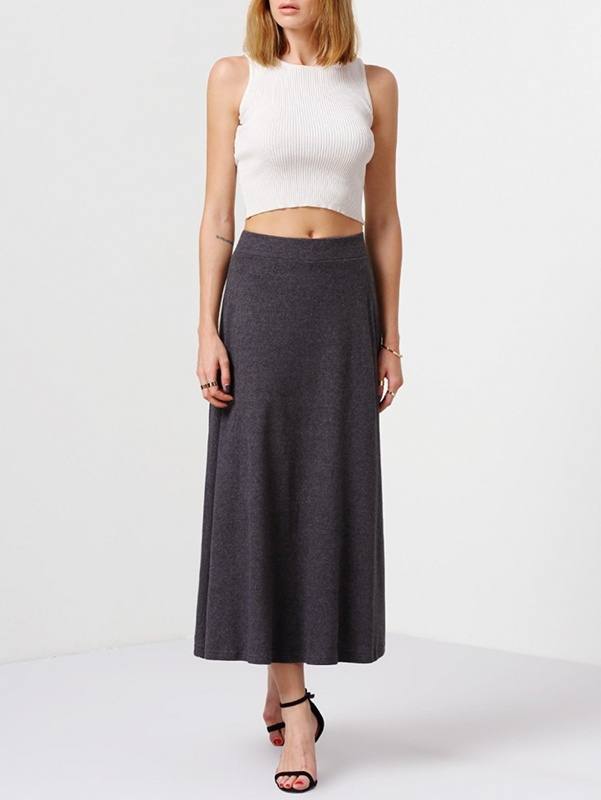 Wear this skirt to a casual party or a night out with your girlfriends. Tulle skirt designs have a fluffed out shape which is usually done by adding netted materials underneath making them ideal for ballet. 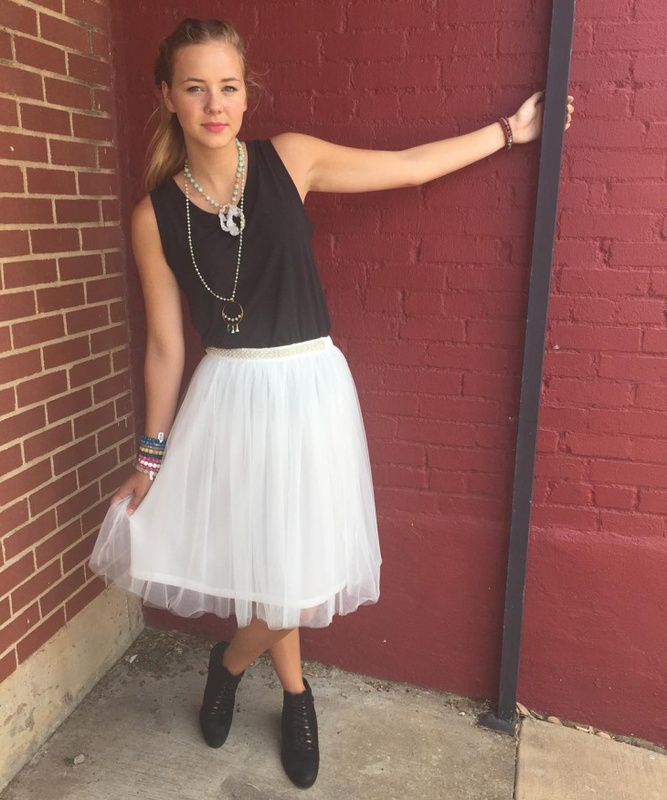 The net garment makes this dress type light weight, and a fashion must have for teenagers who want to show their flirty, feminine side. Wear with a t-shirt and add a cute headband. 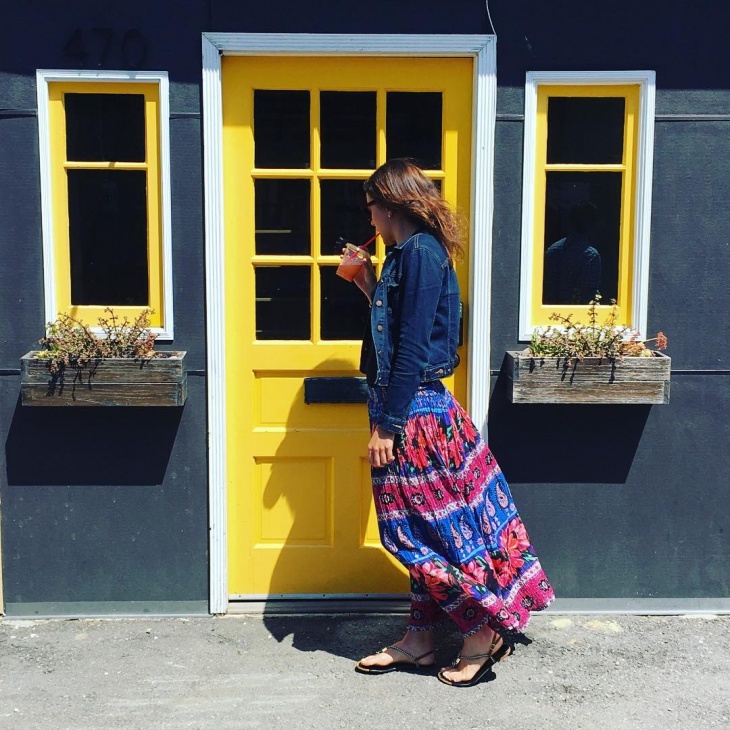 Denim skirt designs are timeless, trendy and suit ladies of all ages. 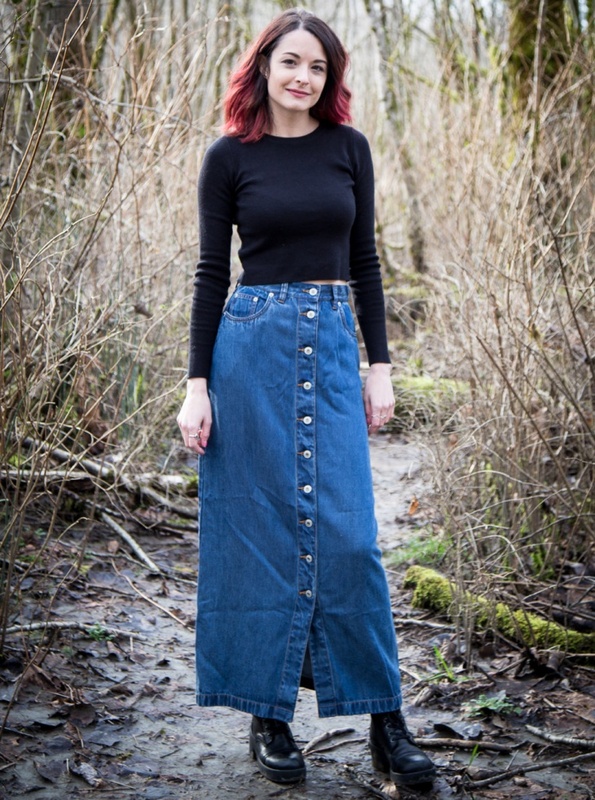 The denim materials make these skirts durable hence you can even pass it down to your hippie daughter. Those above the knees suit young girls while older women can wear the knee length and pair with high boots. Designer leather skirt, especially in black color, will always be trendy. Depending on how you style this skirt, it portrays a bold woman who is not afraid to take fashion risks. During winter or fall pair leather skirt with a cozy sweater and ensure you tuck it in to draw attention towards your waist. Formal skirt designs are ideal for work settings where you need to make an impression with your dressing style. Anyone can rock a formal skirt design during a presentation or meeting; the trick is always to consider your body type. Wear formal skirts and pair with subtle jewelry pieces. Skater skirt designs which are popularly known as circle skirts get their inspiration from the 90s fashion style. They sit at midway thighs and are always above the knees. 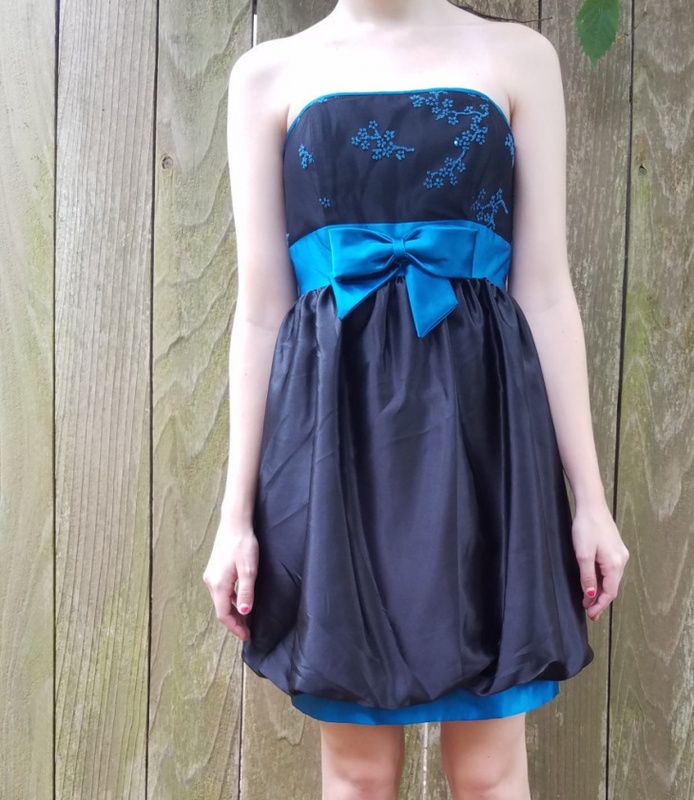 This skirt design is perfect for skating or cheerleading and tends to be in a cotton or linen fabric. Pair with a glam top or chambray shirt. Traditional skirt designs feature bold prints and are perfect for attending weddings or events with a traditional theme. From India to Africa, there are many types of traditional skirts that come in a wide array of colors and designs. For tie and dye designs in vibrant colors, opt to pair them with white t-shirts or vests. Skirt suit designs are a popular wear for women who work in a corporate industry. The skirt is usually in a pencil shape to accentuate the curves and varies in length depending on an individual’s preference. You can choose from straight cuts to boxy pleats that come with a matching blazer. A sheath skirt design fits very close to the body hence ideal for ladies with an hour glass figure. It falls just around the knees so as to show off those well-toned legs. To ensure this skirt looks good on you, if it is in a neutral color then pair with a vibrant or floral top. 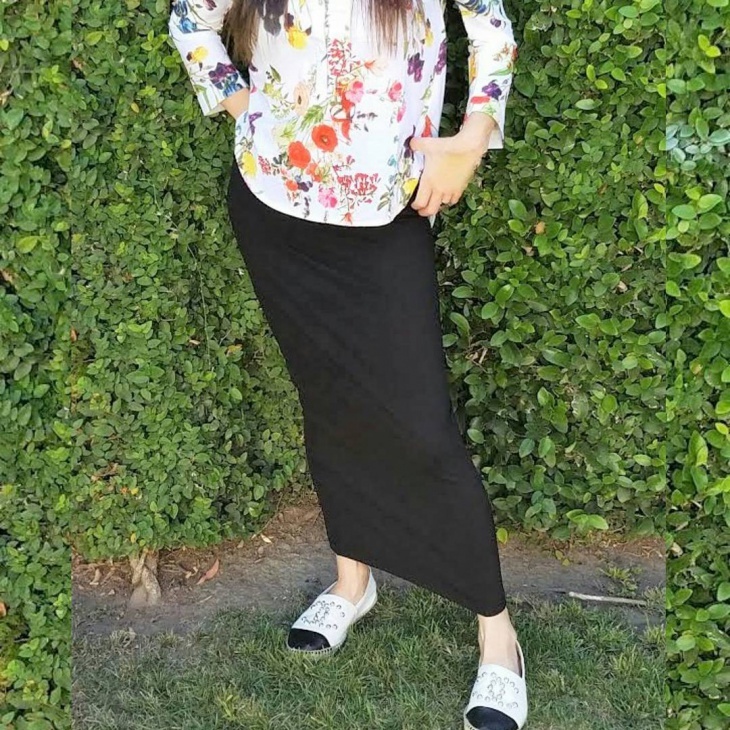 Floral skirt designs are feminine and will always be trendy during all the seasons. If the skirt has a pattern that looks too girly, then paired with a neutral loose top to tone down the shouting prints. A bright monochrome top and a thick belt will also look good with a floral skirt. Perfect for spring and summer, midi skirt designs are a must have for any fashion conscious woman. The stand out silhouette makes this skirt feminine and will look attractive paired with ankle strap heels. You can even wear this skirt with socks just ensure you let them peek out just a little bit. Ruffle skirt designs even though girly look elegant. The right ruffle will either drown your figure or bring out your curves in a striking way. When wearing a ruffle skirt avoid wearing tops with ruffles. Short and petite women can go for skirts with ruffles at the hem and pair with a structured jacket. The perfect time to wear silk skirt designs is during summer. You can either dress up this skirt type or down depending on the top you wear. For a casual look, pair silk skirts with a loose floral pattern top with ankle brown leather boots or comfy sandals. 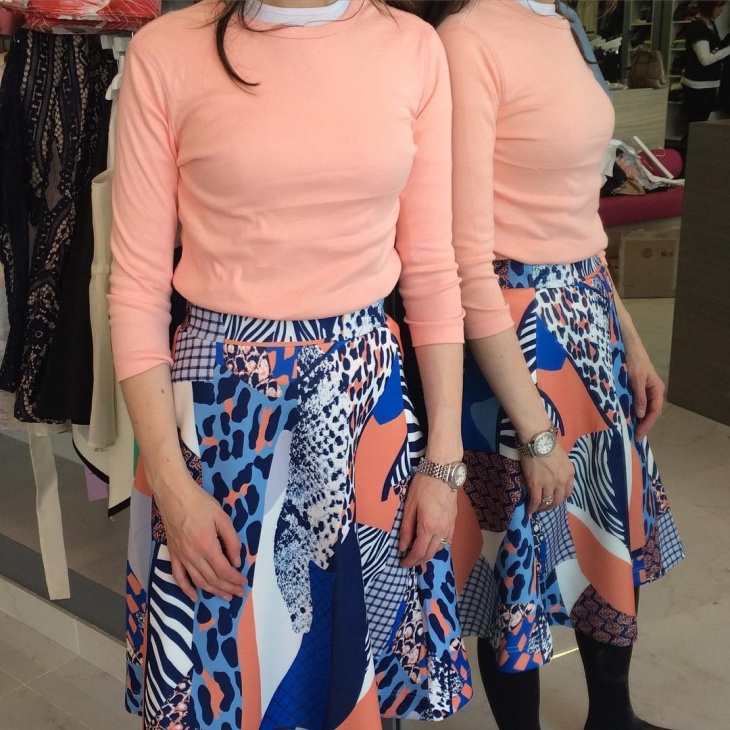 When it comes to choosing, office wear skirt designs avoid those with screaming patterns. A simple A-line skirt with a tailored blouse and colored scarf can express your fashion style as well as make you look beautiful. When your office wear skirt is in a neutral color, then your shoes and accessories should be bold. 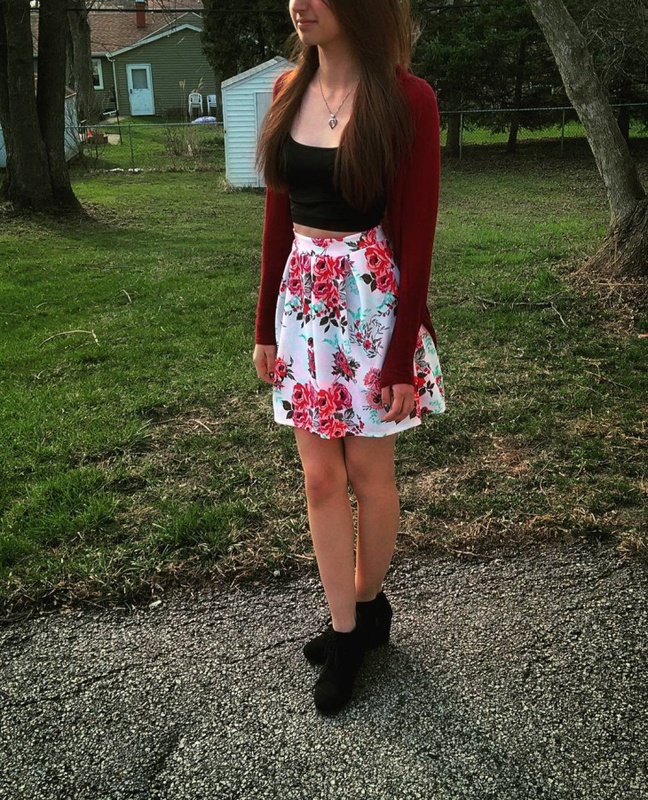 If you think funky skirts are only for young girls, then you are dead wrong! Pair your funky skirt with animal print heels or a leather jacket to make a statement. This skirt is ideal for casual occasions such as beachwear or a party and it caters to all body shapes. Asymmetrical skirt designs which are also known as high-low skirts usually have varying lengths at the hem while the back length is relatively uniform. They are chic, elegant and look good on tall women. Wear with a full sleeved button up shirt or a crop top and pair with lace boots. Bubble skirt designs feature a bubble effect at the hem which gives the illusion of a voluminous figure. They are above knee length hence will also draw attention towards your legs so pair with high heels when going for a date or flats for a casual party. Lace tops best make this skirt look feminine. A line skirt designs are usually tight at the waist and flare at the bottom. You can even add a bold colored belt to draw attention towards the waist. 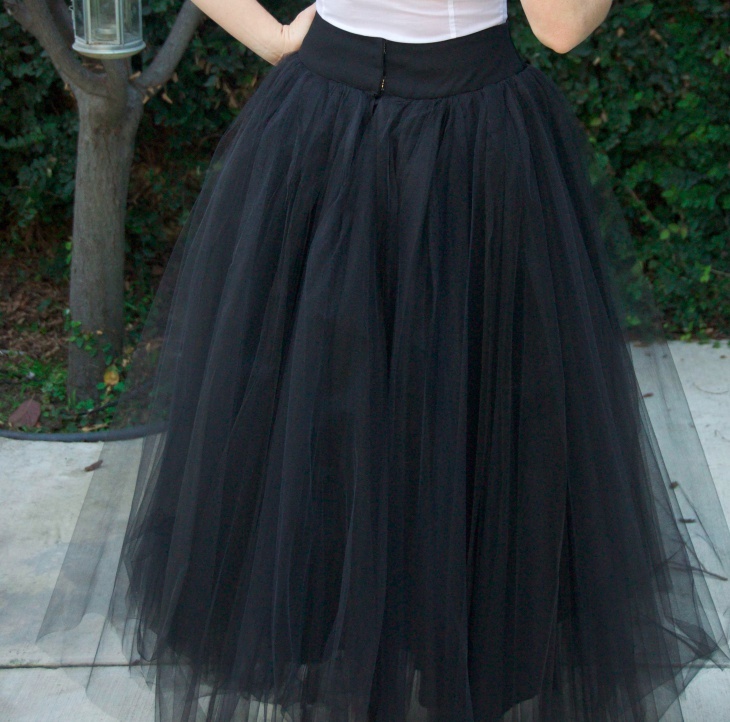 Curvier women with an hourglass, apple, and pear shaped body types will look good with this skirt. Wear with corset, blazer or well fitting t-shirt. Whether you’re a teenager girl or a mature woman, a skirt is a must have. From those getting inspiration from the 90s such as pleated and skater skirts to modern A-line designs, you can find different skirt designs to meet your lifestyle. While most people think skirts are for ladies with a slim figure, curvy women can still go for skirts that flatter their curves such as peplum skirts. 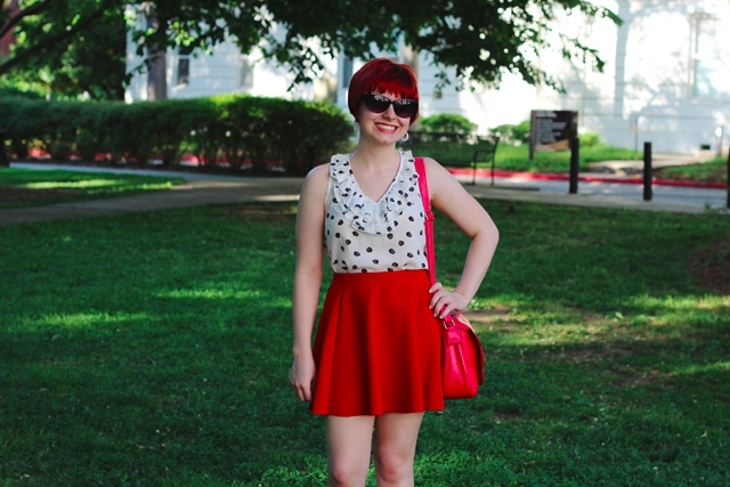 When choosing, skirt designs consider your height and body type. Skirts are a favorite fashion item in most women’s wardrobe. They range from those suitable for the work environment to casual fun designs that you can even wear to a date. No matter which type of skirt you choose, always consider your body type because the right design will make your legs appear curvy and slimmer.